Personal data is information that can be used directly or indirectly to identify a living person, for example name, address, email and telephone number. Processing of personal data is governed by the General Data Protection Regulation (GDPR), regulated in the UK by the Information Commissioner’s Office (ICO). 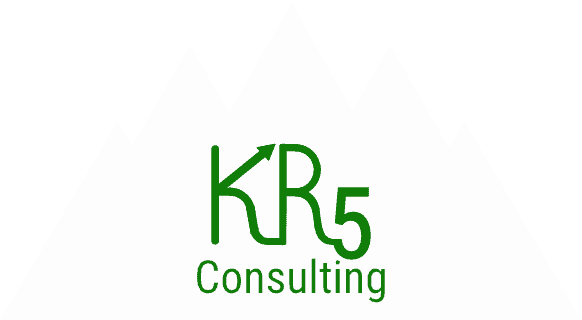 KR5 Consulting provides business to business services and is a trading name of KanRevi5 IT Consultancy Ltd, a UK registered company. KanRevi5 IT Consultancy Ltd is the Data Controller and is responsible for ensuring that personal information is processed fairly and transparently. KanRevi5 IT Consultancy Ltd complies with its obligations under the “GDPR” by keeping personal data up to date; by storing and destroying it securely; by not collecting or retaining excessive amounts of data; by protecting personal data from loss, misuse, unauthorised access and disclosure and by ensuring that appropriate technical measures are in place to protect personal data. Maintain our own accounts and records to fulfill employment, tax or legislative requirements. Legitimate Interest for direct marketing and maintaining a network of business connections. Contract for managing customer and supplier relationships, including customer contacts required for the delivery of products and services. Explicit consent to keep you informed about news, events, and activities. Your personal data will be treated as strictly confidential and will only be used by KanRevi5 IT Consultancy Ltd. We will only share your data with a third party with your consent. 3 Years for personally identifiable information after last contact. To exercise all relevant rights, queries of complaints please in the first instance contact info@kr5consulting.com.